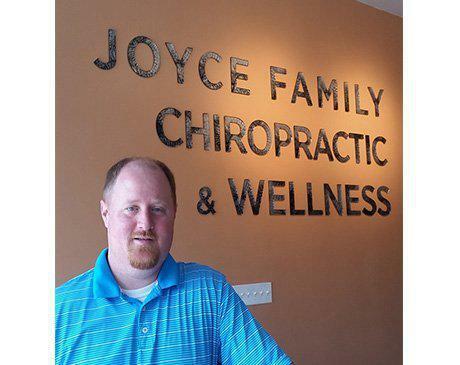 John Joyce, DC, offers a variety of chiropractic and therapeutic services at Joyce Family Chiropractic & Wellness in Chicago and Mount Greenwood, Illinois. He provides physical therapy, massage therapy, women’s health services, nutritional counseling, and laser therapies to alleviate pain and encourage weight loss. Dr. Joyce is also licensed in Zerona body fat sculpting technologies. Dr. Joyce has been in private practice since 2004 and is a graduate of the National University of Health Sciences. He later pursued hundreds of hours of post-graduate studies in applied kinesiology and sports medicine. Dr. Joyce continues to learn about effective treatments for weight loss and detoxification. He also offers help for metabolic disorders, including high blood pressure, high cholesterol, and diabetes. He counsels chronic pain patients on whole body wellness through proper nutrition. A lifelong resident of Chicago’s southside, Dr. Joyce enjoys spending time with his family, walking and biking around his Kennedy Park neighborhood, bowling, and summer bean bag leagues. He frequently attends local fundraising events.